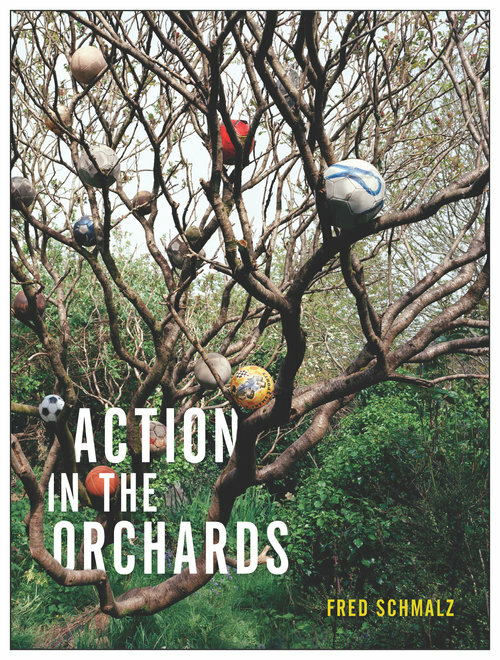 Anastasia Tinari Projects congratulates the forthcoming release of Action in the Orchards by Fred Schmalz. Nightboat Books will be publishing the book in 2019. We’re so excited about the release, and the addition of Russian photographer Alex Yudzon’s image as the cover. Congrats to both artists! For more information on Action in the Orchards please click here. To view more works by Alex Yudzon please click here. Fred Schmalz is the author of Action in the Orchards (Nightboat Books, 2019). He is an artist and poet whose recent work focuses on textual response to encounters with dance, music, and visual art. His writing has appeared in a variety of publications including Spinning Jenny, Conduit, Pinwheel, jubilat, Zoland Poetry, We Are So Happy to Know Something, and A Public Space. He has performed in a variety of contexts, collaborating with dancers, artists, musicians, and performers. A pamphlet, “Measures” appeared in the Present Tense series in 2016. His field guide Claes Oldenburg's Festival of Living Objects was published in conjunction with a series of gallery walks by the Walker Art Center in 2013. He is the author of the chapbooks documenta 13 Daybook and Ticket. He edits and publishes the micropress Swerve Press.